Boards are 7/8 in. x 5-1/2 in. 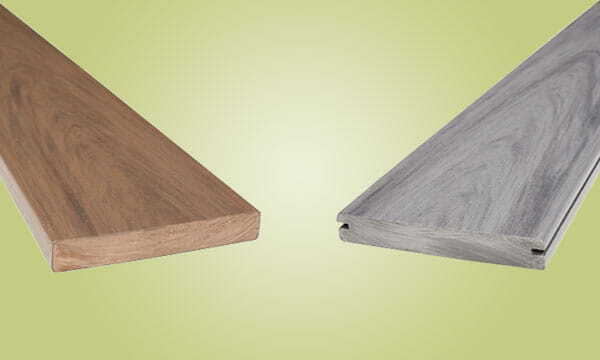 These composite deck boards may have small defects like color variations, scratches, or minor bends (after installation, bends aren’t noticeable). But we’re making it up to you with big discounts. One other catch – you’ll have to pick up your order in Norton Shores, Michigan. If you can handle all of that, you’ll get a long-lasting deck that you’ll never need to stain or seal – at a great price. 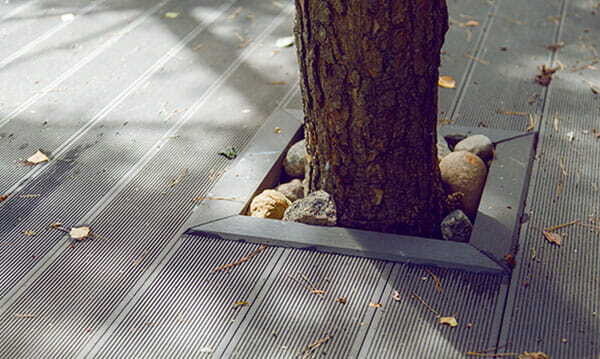 Use solid-edge decking when board edges will be visible (or just because you like it). We recommend you install with composite wood deck screw. In the rare occasion that we cannot fill your order due to damaged board(s), we will contact you and adjust orders accordingly. Deck boards, fascia, and hidden fasteners are for local pickup only in Norton Shores, Michigan. If your order has items in addition to these products, we’ll ship them to the address specified at checkout. We process orders on business days. Please allow at least 24 hours to process. After processing your order, we’ll contact you with pickup details. Because of processing time, same-day pickup is not available. Loading assistance and forklifts not available. Bring a buddy to help you hand-load boards onto your trailer. You’ll need to load and properly secure your product - a heavy-duty strap is strongly recommended. We recommend a heavy-duty trailer and tow vehicle capable of handling product length and weight. Composite boards are 16 feet long and weigh about 40 pounds. The boards are flexible - to prevent damage during transport, do not allow more than 2 feet to hang over the end of the trailer without support. Questions? Email us at customerservice@yardandhome.com. Solid-Edge or Grooved Decking: Which to Buy?